A well-designed home is like a great wardrobe: It starts with strong basics. so your home is always on point. From season to season, year after year (and seemingly blog post after blog post) there is always a new look, a next big thing or a cutting-edge trend to consider for your home. Getting caught up in the latest looks over and over again can quickly make you feel like what you currently have in your home isn’t up to par. A rug is a must-have to tie a space together. While the world of colors and patterns is vast, finding a solid color or simple pattern with a rich texture provides all the benefits of the rug without the risk of it becoming dated quickly. Tone on tone: Find patterns that use the same color in different finishes or textures. This lends a richness that you don’t get with a solid-color rug, but doesn’t create too much visual clutter that you’ll have to coordinate with every piece nearby. Chunky knits: Like your favorite sweater, a rug can be a great knit too. Look for heavy-duty weaves in monochromatic colorways. Natural materials: Unbleached wool or natural grasses are fantastic basics to serve as a backdrop for changing trends. They’re hard wearing to boot, so they could even outlast more than a few eras of trends. 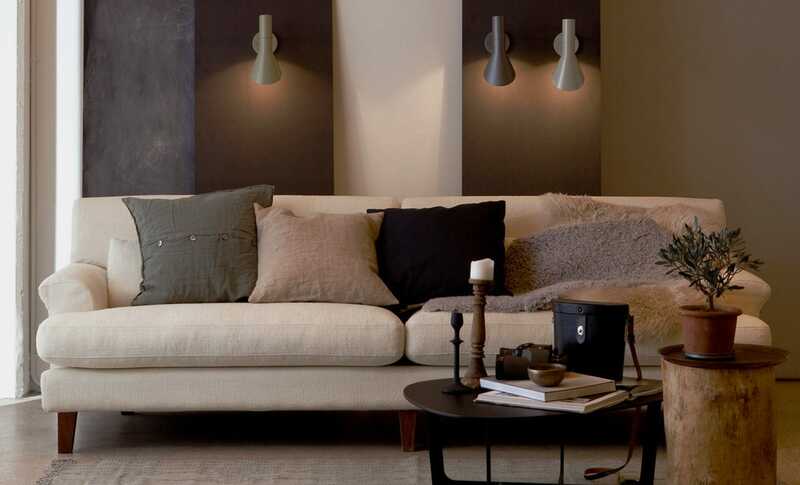 Generally speaking, a sofa is one of the biggest furniture purchases you will make. As the market keeps turning out ever more styles and finishes, you’ll be better off with keeping this design simple and looking to accessories to dress it up season after season. Tweed: Made for menswear and first used as an upholstery material by the iconic Florence Knoll, tweeds are a great option if you are going with a upholstered sofa. The mélange of colors generally helps pull in other finishes in a space, which will help you pull off many changing looks. Leather: Leather sofas can be a great, long-wearing option for a staple piece in your living room—but make sure to do your research. Some leathers are designed to retain their factory finish, while others are made to wear-in and develop a distressed patina. Take the time to know what you are choosing and what you want in the long run. Clean lines: While dramatic shapes or overstuffed silhouettes are eye-catching, keep in mind that they can make a piece look dated over time. Keeping the shape of your sofa clean and simple will give it a longer life, and allow you to decorate around it with ease. Between everyday activities and special occasion entertaining, the dining room is a space where creating a big visual impact is worth it. But that makes this room especially prone to following of-the-moment trends, making them look out of touch faster than they need to be. Versatile finish: Raw, varnished, limed, wenge, distressed—tastes and trends among wood finishes alone are always changing. Go to the middle ground: While woods like walnut, oak and ash will also wax and wane in popularity, they are reliable finishes that will generally weather the seasons better than most. Flexible size: Sure, you may not have ever hosted a dinner party with more than six people. But to truly have a dining table that you don’t have to rethink, consider how many you might want to accommodate in the future. Use the maximum space you have in the room, or look to something that can easily extend when you’re expecting a crowd. Lighting is the jewelry of the room and can truly make a space. Generally speaking, however, the best-looking rooms still show a measure of restraint. Like a classic diamond solitaire or a pearl bracelet, lighting can at once be timeless and a statement maker. Finishes: Metallics are always in style, but be sure to pick a finish that will stay relevant to your style. Copper and brass are a favorite right now, but they tend to swing in and out of style more frequently than chrome or satin nickel. Practicality: While there are many fantastical designs on the market, select pieces that complement your home—and properly serve the function you’re after to begin with. Be sure you’re checking a fixture’s light output along with its size and style to make sure it provides what you’re expecting. There are lots of great functional and beautiful designs on the market. Portables: While you want to ensure your larger, hardwired fixtures are going to outlast trends, you’re free to have much more fun with your plug-in lights. A whimsical table lamp or artistic reading light are a lot easier to move around—or out of—a room when your taste changes. Above all, know thyself. If you’re the type to try every stunning look that comes off of your Instagram feed, think about how you can keep things fresh without constantly re-investing in your home. But if your taste has stayed in line over several decades, you can take a few more liberties to choose furniture that speaks to you, not trends. Take your time and do your research. A room does not need to come together all at once, and a carefully chosen centerpiece will serve you well for years (and trends) to come.